We just got done Skyping (I love technology) my brother and mom from Haiti! They are there ministering in Port-au-Prince. This was a perfect opportunity to bring Haiti to life. 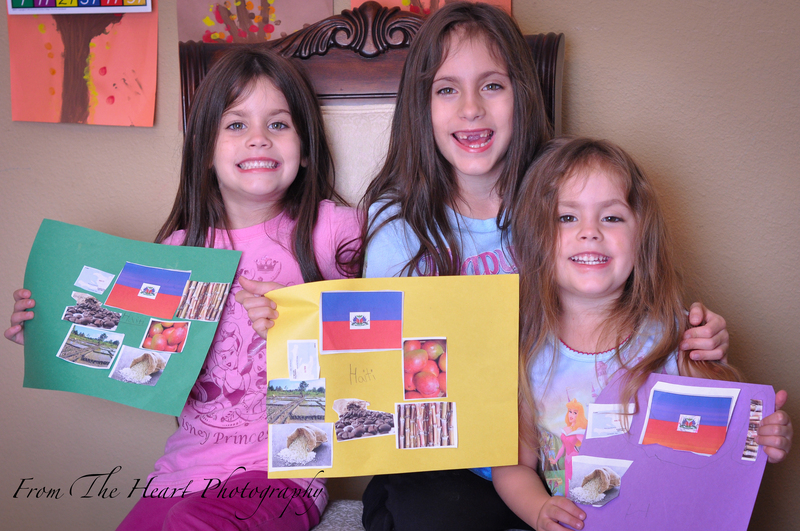 We took time cutting out pictures that represented the country, like their flag, some of their agriculture and the map of Haiti itself. Then we took time praying for the people of Haiti. Thank you God for giving my brother and mother this opportunity to invest in Haiti. May they be used by you greatly and may your hand of protection be on them as they are preaching your word. This entry was posted in Homeschool, Spiritual and tagged Haiti, ministry by fromthecommittedheart. Bookmark the permalink.